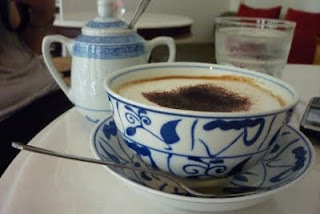 In Penang heritage area, there have been a couple of new cafes with nice atmosphere. 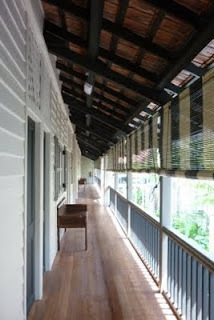 We went to the cafe at Muntri Mews, a boutique hotel. Lunch is on a little bit expensive side, but ok.
Old mews were renovated into this hotel. It's around 300RM per night (60GBP). They target 'flashpackers'. It was the first time to come across this word. Apparently they are backpackers with a bit more budget.